Nice review Mike. Looks like it’s worth taking a closer look. Please include me in the drawing. It sounds great. Sounds like a Great Product for Domain Name Owners! Sounds like a great script, I’d love to be included in the drawing as well. I could see myself really using something like this. Thanks! This plugin looks useful, please include me in the draw for a free copy. I currently use desktop software for managing my portfolio but I would really like an online solution. Very nice review, with its enhanced features, the pro version definitely sounds like its worth a look, am using desktop software at the moment too, but to have a WordPress integrated option with all the bells and whistles would be great, thanks for sharing. Looks great especiallh if wr already have lots of domains collection. If you have a video demo showing how is it gonna work, would be great ! I am working on a video presentation for the Pro version. I will update the site with the info. Great article! This plugin fills a huge gap for domainers who want to use WordPress for its ease of use to sell domains! I can’t wait to see the Pro version. Nice write up. I think a few screenshots of the plugin would be helpful to the reader. This looks like a nice tool that I’d like to try out. Which tlds are supported in whois lookup? Looks like a very nice plugin!I will defenetly include it in my website!please include me in the draw as well! Interesting. I think the idea of the video mentioned a few comments back would be helpful. The plugin sounds great, but I’m sure the video or screenshots could highlight additional features that I didn’t imagine with the blog write-up. 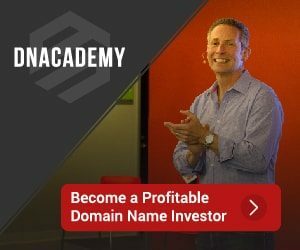 The My Domain List plugin seems like it would be a great addition to any domainer’s toolbox. Great plugin! short and simple.Does it support auto update of domain renewals and current registrars? Wow. Sounds promising. Been looking for a web app to manage my portfolio for a while. Include me for sure! I would have bought it right away but for one suggestion. I like others that manage domains have a large number to put on record but from what I could see there is no way to bulk upload. Will you have that included in a later updat? Sounds like a very useful plugin. Include me pls. I am going to pick this up at codecanyon tonight for a WP site I am working on about domaining which is a great plug-in after trying the demo. Sounds great! I used a simple inventory manager for the same on my website, but the power to auto populate with whois details and the offer system are must have features. Please enter me in the Pro version drawing. Thanks. Thanks for participating everyone. The five winners have been randomly selected and Luciana will be reaching out with details on the pro beta. Congratulations Steve, Schuyler, Martin, Sharon and Brady!! Thank you so much for agreeing to beta test the new version. I am looking forward to working with you. Sort of off topic here. Where do you recommend that I should park a few exact match .com domains? I’m looking for a parking service that can help me generate revenue from a few keyword domains that I’m not sure I want to develop into sites yet. I don’t recommend parking for revenue at this point… Contact me offline with the names. Hey Sully, Where ya’ been? I always enjoy your articles! I’ve been pretty busy over at MO.com. I’ll get some new articles on SullysBlog soon! Is the plugin still working fine? Is there any mobile app to manage domains? have the same question, is the plugin still working fine? And yeap, Sully, it’s been a while since your last post. Always enjoy your articles, can not wait for the fresh stuff. What are you up to these days? Time for a post to update us on what you are up to would be great reading…Thanks!